Summary: A thorough look at frogs and toads (according to this book, a toad is a kind of frog; personally, I can never remember the distinctions) that includes anatomy, habitat, reproduction, and prey and predators. Each page includes labeled watercolor illustrations of a great variety of frogs. 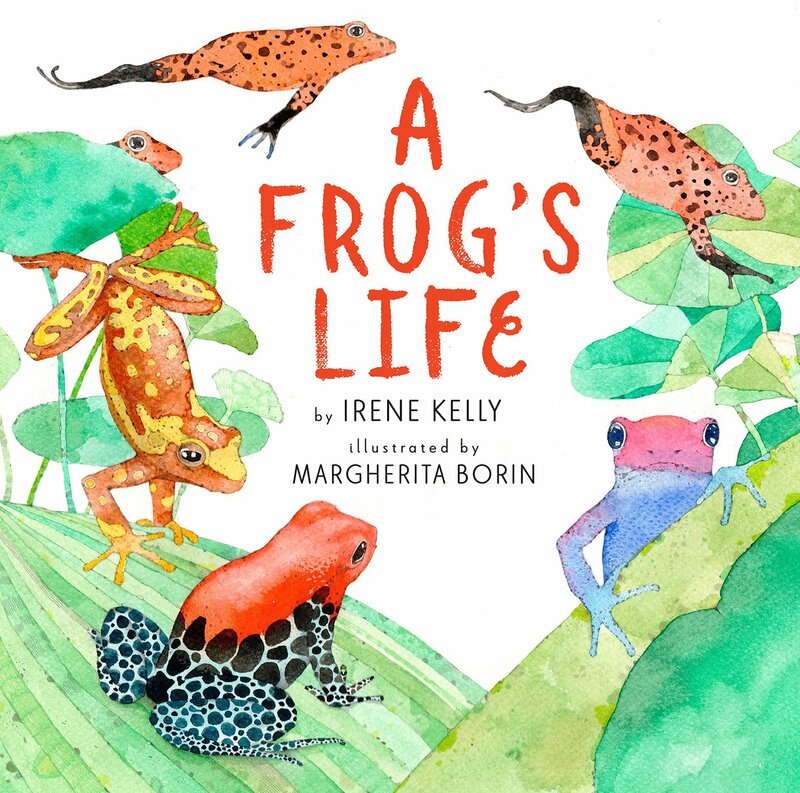 The last couple pages discuss the different reasons why frogs are endangered, and the back matter includes ways kids can help them, as well as an index. 40 pages; grades K-4. Pros: Whether a reader is interested in research or simply learning more about frogs, this book would make an excellent starting place. The information is engagingly presented, and the large colorful illustrations will appeal to amphibian aficionados. Cons: A list of additional resources would have been a nice addition to the back matter. I hope you get this message. May I please submit the PDF of H IS FOR HAIKU to you for review consideration? It was recently published by Penny Candy Books and the illustrator is the terrific Sawsan Chalabi. The author is my mom, Sydell Rosenberg, a NY teacher and accomplished poet. I’m proud of this book and grateful for the acclamation it’s received in the KidLit community.